A lot of people don’t realize how crucial the floor is to their floor heating system as a whole. In fact, a lot of people don’t know much at all about what lies beneath the flooring materials they’ve selected. By educating yourself about a typical flooring set up, you’ll be able to make more informed decisions about your remodeling projects. Don’t forget—every time you enter a room, you’re interacting with the floor. The structure of your flooring is built on top of and is supported by your home's foundation. It can be built once the concrete is completely dry and hardened. The weight of the floor will be held by the foundation walls. You can see a completed system in certain old buildings that do not cover the beam-work of the second floor. If you are ever inside a home or office with exposed beams, take a look and see if you can apply the knowledge you've learned here. The first thing that gets put down in a floor structure is the sill sealer - a material that creates an air-tight cushion between the foundation and the sill plate. The sill sealer is important because it can fill any gaps left behind by an uneven foundation wall. The sill plate - which is a long piece of wood - is placed on top of that. It lays along the entire length of one foundation wall. The sill plate is kept in place with anchor bolts, which have teeth (called threaded ends) that open inside to embed the anchor into the concrete to maintain a strong hold. Nuts get screwed into the anchor bolt to finish the first layer. Now that the structure's basis has been set, the builder, contractor or renovator may lay floor joists. These are long beams that reach from one foundation wall all the way to wall across from it. The beams vary in size, depending on the floor's span - the length of space between walls. Homes or buildings with large spans may use the more stable truss joist, which is made of two 2-by-4-inch pieces of wood that have plywood between. Some builders prefer these over other joists because they create no-squeak floors and are lighter and easier to install. Large plywood sheets get laid and secured on top of the joists with a fastening agent (typically glue and nails or screws). Most subfloors are three-quarters of an inch thick. The size of the plywood is very important, as it either prevents or creates squeak. If a heavier plywood floor isn't properly secured, it can sag. Then whenever pressure is applied, the floor moves in place, causing the noise. Newer homes use a tongue and groove system to place the boards together. One plywood board will have a piece that sticks out, fitting into a slot in the other sheet of plywood. The system keeps the boards together and minimizes movement. The items above constitute the entire floor structure. 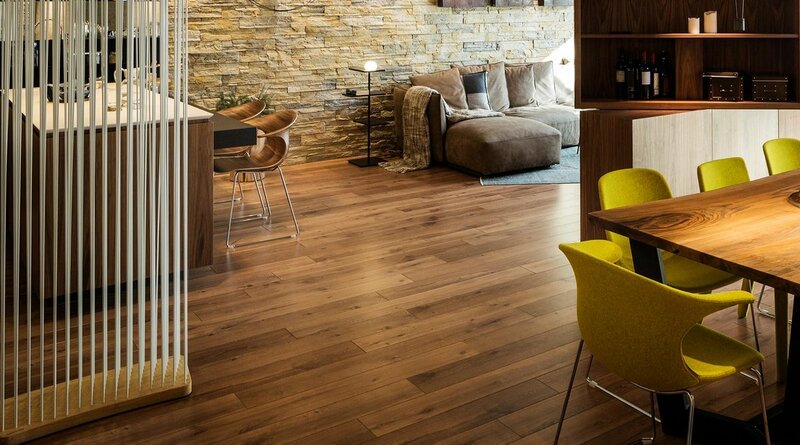 Once it has been put in place, you can add the aesthetic and luxurious parts of your home's flooring. 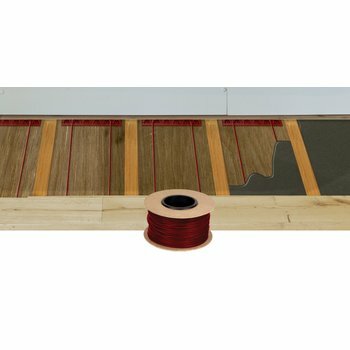 Your electric floor heating elements are placed on top of the plywood, then visible flooring - wood, tile, carpet, etc. - is installed on top of that. See the installation manuals for our Environ™, TempZone™, and Slab Heating systems for more information. 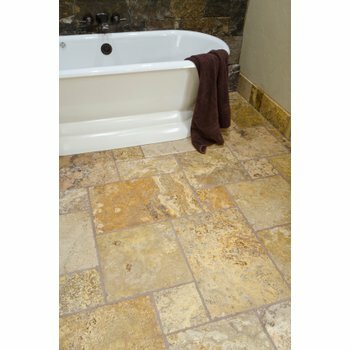 TempZone works great with tile, stone/marble, and nailed hardwood floors. Next Post When Does Remodeling Occur?